What Is Dormant Pruning? Do You Need It This Fall? You might cringe at the thought of shaving the full body off of the viburnum on your commercial property. Making the mature, sprawling shrubs in your landscape skinny may seem risky. Aggressive pruning that can take a lofty hedge down to one-third of its “grown” size could feel like overkill. But in fact, this is the best thing you can do for ornamental trees and popular Northeast Ohio shrubs, including burning bush and forsythia. And now is the time to take action. 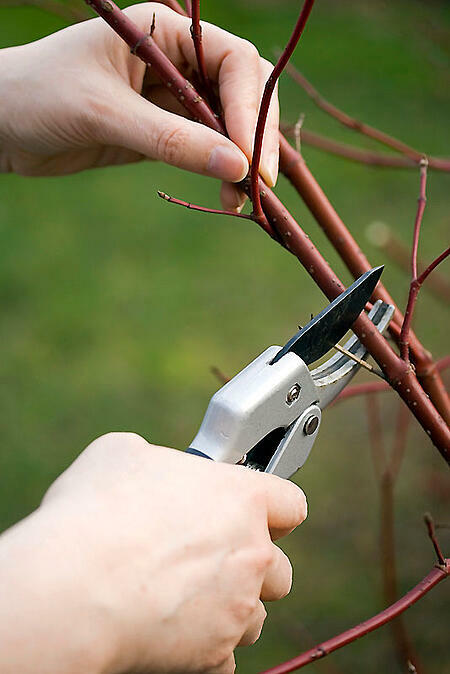 The practice is called dormant pruning, and it means reducing a mature plant down to a more manageable size by cutting back dead branches and leaving healthy, main leaders (think of these as the main arteries of a tree or shrub). Dormant pruning prepares a plant to safely weather the winter and bloom strong in spring. Once most of the leaves drop off of trees, we can see trees’ branch patterns. This is critical for performing an effective, healthy dormant pruning job. Late fall, before the snow flies, is the ideal time to do dormant pruning. 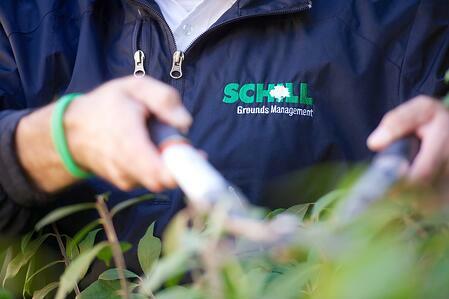 Dormant pruning is an essential late-fall service for commercial Northeast Ohio properties. Here are three reasons why. Dormant pruning brings plants down to a healthy, reasonable size, making them safer overall from winter damage — and protecting your property's tenants, clients and passersby. Overgrown trees and shrubs can also intrude on walkways and create hazards for pedestrians. When mature, overgrown branches “stretch their limits” they can block lighting, which is a safety concern. These branches can also cover important signage, including addresses, on a commercial property. As a landscape matures and plants grow, some thriving and others not, it’s natural to replace or add more trees and shrubs to the property. But new nursery stock is not “mature” and won’t match the 10-foot burning bush or viburnum that’s been growing for a decade on your property. When plants with an excessive amount of dead branches or unruly growth are assertively pruned back in late fall, they remain a healthy size that complements other plants on the property. And so, when new plants are added to the landscape, they blend with mature trees and shrubs. The result is a healthy, consistent looking landscape that suits your budget — because there’s nothing cost effective about sourcing a 10-foot tree. Dormant pruning actually saves you money! Dormant pruning rejuvenates plants for several reasons. For one, when a plant is pruned back “hard” in late fall, it goes through winter without extra dead branches. Overwintering closer to the ground, and root ball, helps rejuvenate the plant because sunlight, water and nutrients reach its source easier than when these necessities must push through all the dead weight to reach the roots. Basically, the plant can operate more efficiently. As a result, in spring, plants that were pruned during dormancy develop more leaf material. Dormant pruning is just one critical fall service to consider as we roll into winter. Preparing your landscape to maintain its health during the cold season is a matter of protecting your investment. Let’s talk about measures to take now that will save your budget come spring. 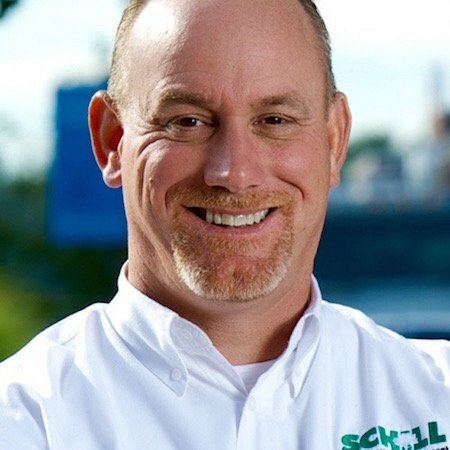 Call us any time at 440-327-3030, or fill out our simple web contact form, and we’ll get in touch with you.